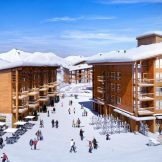 Skiingproperty.com is delighted to offer this new, exciting and eagerly awaited phase 2 of this very popular development as phase 1 sold out quickly. 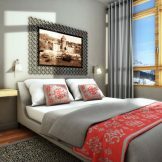 This brand new phase of luxurious five star apartments enjoy five star services which includes fantastic facilities. 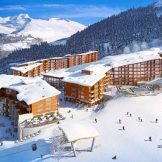 The ski resort of Les Arcs is connected to the large Paradiski area which is one of the biggest skiing domains in the world. 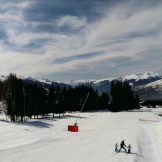 With its magnificent views over Mont Blanc, excellent snow conditions and vast choice of both winter and summer sports and activities, the area is ideal for skiers of all abilities and families looking for all-year-round leisure infrastructure. 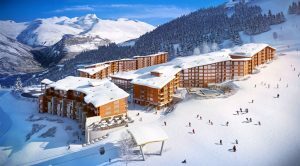 Getting to Les Arcs could not be easier with the funicular straight up to the resort from Bourg Saint Maurice taking just seven minutes and Les Arcs is probably the easiest ski resort to reach in the Alps by train. 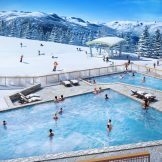 For those travelling by air, Les Arcs also benefits from the same choice of airports that the other major resorts of the Tarentaise Valley have. Geneva and Lyon Airports that are both a two hour drive away. 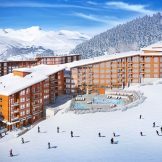 Nestled on the mountainside at the foot of the ski slopes, these properties enjoy a fantastic location with views across the resort and over to Mont Blanc. 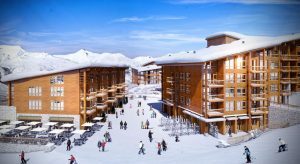 Up to 4.10% rental returns are available depending on the amount of personal usage required, the highest returns currently available in the resort. 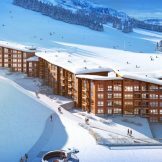 The properties themselves are being finished to the standards, ski property investors and lifestyle buyers would expect of such a fantastic location. 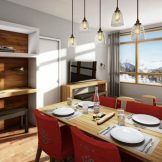 Each ski apartment combines traditional Savoyard style with contemporary designs and all are fully furnished and equipped. 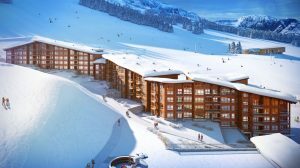 There is a choice of one, two, three and four bedroom apartments available which range in size from 38 to 119 square metres and are priced from just 298,800 to 1,092,000 euros. 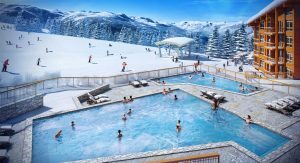 Owners will also have unlimited access to the onsite spa facilities which include a swimming pool, Jacuzzi, sauna and fitness room, spread out across an impressive 800 sqm private spa and wellness area. 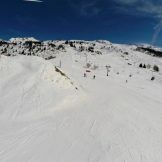 During the summer when the snow has disappeared, the area near to Edenarc 1800 becomes a 27 hole golf course, which is one of the resort’s many different summertime activities. 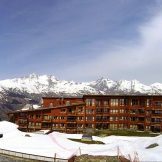 These cleverly designed homes boasts large interior spaces which enjoy incredible views towards the majestic Mont Blanc. 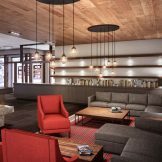 Do not miss out on this excellent value for money leaseback opportunity! One bedroom apartments, from 38 square metres, plus balcony, priced from 298,800 euros. Two bedroom apartments, from 52 sqm, plus balcony, priced from 382,800 euros. Three bedroom apartments, from 86 square metres, plus balcony, priced from 844,800 euros. 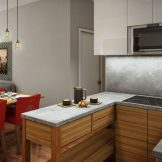 Three bedroom duplex apartments, from 98.5 square metres, sold out. Four bedroom duplex apartments, from 99 square metres, plus balcony, priced from 972,000 euros.